With 2017 drawing to a close, Solar Power Portal recaps some of the most popular and important stories of the year. In the third of a series of articles in the lead up to Christmas, today we look at July, August and September. September saw confirmation of a story that had been rumoured for some time, but was equally one that constituted a significant milestone for UK Solar. In a muddy field in Bedfordshire, Anesco laid claim to having connected the UK’s first subsidy-free solar farm. The 10MW Clayhill Solar Farm features 6MW of battery storage and was completed during the summer following the Renewables Obligation scheme’s closure. It shares a site and various grid works with a separate 1.2 ROC-accredited project, but was mainly achievable through considerable supply chain engineering. BYD supplied the panels and storage, with bespoke mounting systems from Hill & Smith and brand new, 1,500V inverters from Huawei comprised the project. Solar Power Portal was present at its unveiling – and it’s fair to say climate minister Claire Perry, also present, got a lot out of her visit – and had all the details of the landmark project. But all the evidence suggests that Clayhill won’t be the only subsidy-free solar farm for long. The likes of NextEnergy Solar Fund, Wirsol and Hive Energy have all laid bare their respective subsidy-free solar plans, and in August our own Finlay Colville revealed that his database of prospective subsidy-free projects in the UK had swollen in size to many gigawatts. While a sizeable portion of these were projects that had fallen by the wayside in their attempt to be accredited under the RO, more than 90 sites – representing around 1.3GW – had entered planning since the closure of the RO to new applicants, meaning that their respective developers fully intend to bring these sites forward without subsidy support. Precisely when remains to be seen, but there is ample evidence to suggest this is a trend that could well emerge in the next 12 months. It’s not just on the ground either. 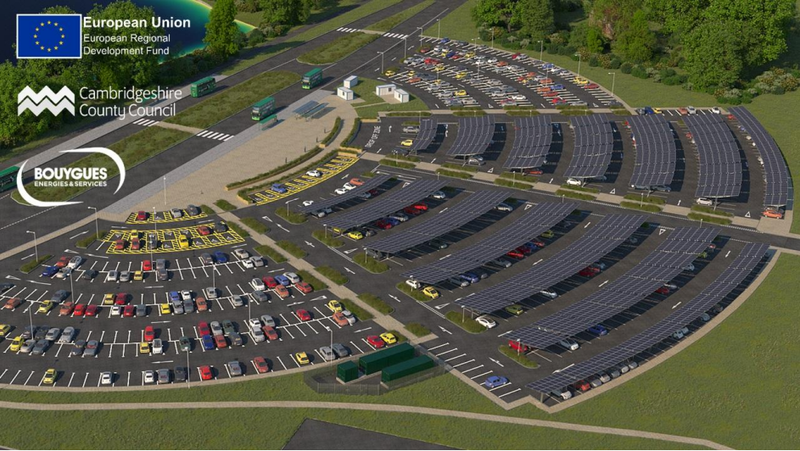 Cambridgeshire County Council caught the eye in July when it confirmed plans to construct what it said could be the country’s largest solar carport with additional battery storage at the St Ives Park & Ride. In collaboration with UK Power Networks, a 948kW canopy will be paired with battery storage, with surplus electricity sold to local corporate customers. Elsewhere, and as we alluded to yesterday, IKEA embraced battery storage in a big way – albeit on the domestic scale – by adding LG Chem and Sonnen batteries to its line-up of renewable technologies. Customers can now add storage to their prospective residential solar installations through an online calculator, detailing how much they cost and ROI details. But it wasn’t all good news. While Q3 certainly showed signs that UK solar was getting to grips with the new reality of its low - or no - subsidy environment, the impact of subsidy cuts was brought back into stark contrast with the news that Lark Energy, one of the industry’s stalwarts, had been shuttered amidst what it labelled a “re-organisation”. Again, rumours surrounding Lark Energy’s demise had been circulating for months prior to July’s announcement and it was still not entirely clear what future the company would hold. A new Lark Energy soon sprung up and parent entity Larkfleet insisted some activities, mainly O&M, would still remain. It also pointed the finger at sub-contractors for missing certain deadlines, costing the company dearly, as a major contributor to its £49 million collapse. As is often the case with stories like these, Solar Power Portal thinks the industry may not have heard the last of this story. Tomorrow Solar Power Portal will look at the top stories from the final three months of the year. You can view part one of our 2017 in review series covering the first three months of the year here, and part two of the series, covering April through June, here.